Scarecrow Queen Brooklynn Stanley poses with Abbi Pettit who served on the court last year and crowned the queen and runners-up this year. On Tuesday, Brooklynn Stanley was named Scarecrow Queen for this weekend’s Scarecrow Festival in Washington C.H. First runner-up was Andrea Robinson and second runner-up was Lexi Hagler. The runners-up will serve as members of the Queen’s Court. The queen and her court will introduce the entertainment at the festival and will serve as ambassadors to the community, according to pageant MC Anne Quinn, who is the children’s librarian at the Carnegie Public Library. Fifteen girls participated in the pageant. They were judged for: stage presence, gown suitability, overall appearance, personality, confidence on stage, communication skills, answers to on-stage questions, and overall impression. The judges were Cyndi Newman, Vickey Mettler, and Liticia Walker. Stanley is a junior at Washington High School where she participates in varsity football and basketball cheerleading, theatre, and choir. She is also a part of the Hi-Y group. She said, “I feel very excited to represent Washington Court House this weekend.” Stanley, who is a talented singer, hopes to someday appear on Broadway. First runner-up Robinson remarked, “I’m very excited to serve along with Brooklyn Stanley. She’s one of the sweetest people I know.” Another contestant also commented on Stanley’s kindness when asked who she would like to see win the pageant and why. 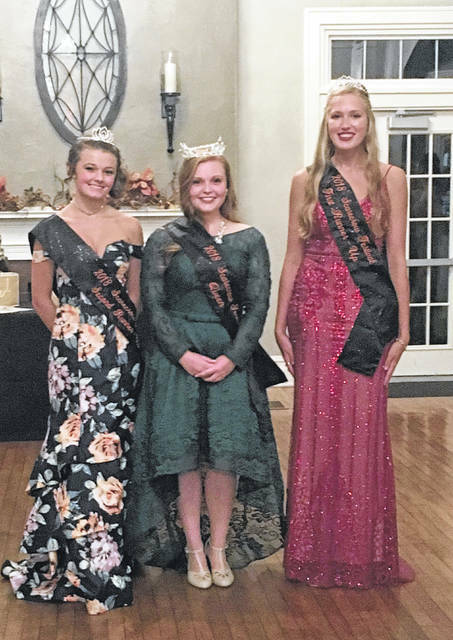 Robinson said she decided to participate in the pageant because it looked like fun when a friend participated last year and because she served as Horse Queen at the fair this year and really enjoyed the experience. Robinson is a senior at Miami Trace High School where she participates in football cheerleading and swim team. She plans to double major in agribusiness and political science at college next year. One of her goals is to help to shape the laws that impact individuals involved in the business of agriculture. She hopes to work in the medical field, possibly as a large animal veterinarian. The Scarecrow Festival will be held this weekend and will feature a number of events, a 5K run/walk, and a musical performance by country music star John Michael Montgomery. 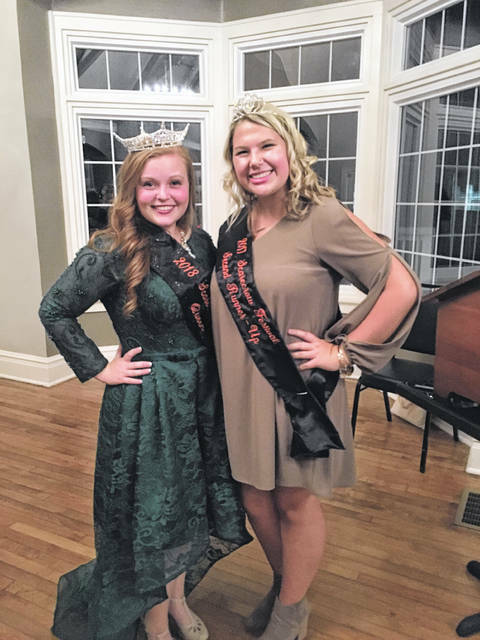 https://www.recordherald.com/wp-content/uploads/sites/27/2018/09/web1_IMG_2321.jpgScarecrow Queen Brooklynn Stanley poses with Abbi Pettit who served on the court last year and crowned the queen and runners-up this year.